Business in the front, party in the back! 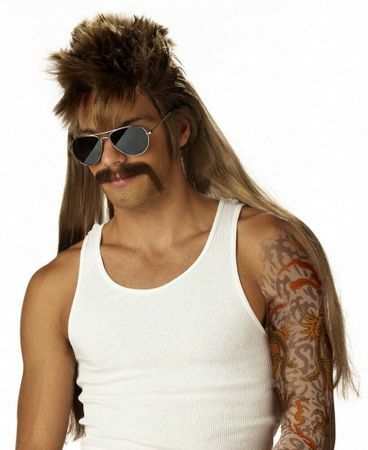 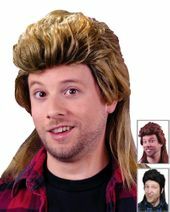 Brown long mullet wig with long straight back and spiky bangs, perfect for men or women! 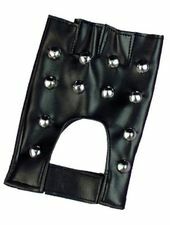 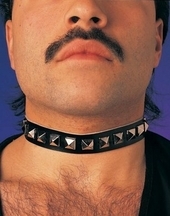 Great for your bounty hunter or biker costume! 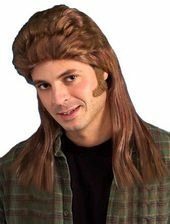 Pair it with a nylon wig cap.